1) When and why did you start playing the clarinet? I started the playing clarinet when I was around 12. At first, the clarinet was just a small hobby for me but the love towards the instrument grew bigger and bigger and became my passion. My biggest musical influence is Charles Neidich. 3) What was your preparation process for the Young Artist Competition? For the Young Artist Competition, I had to prepare pieces with characters that are distinct from each other. So, my main focus in the preparation process was to portray and deliver the different expressions and characters the pieces own to the listeners. 4) Any advice for someone wishing to enter? You should definitely do it! 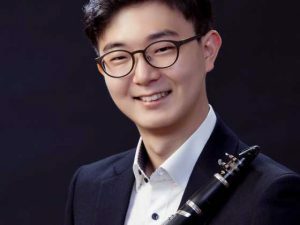 The process of preparing and playing in the competition will be a rewarding experience and you get to hear other fantastic clarinetists who will inspire you. 5) What does it mean to you to be invited as a soloist to ClarinetFest® 2018 in Ostend, Belgium? Getting invited as a soloist to ClarinetFest 2018 is a dream come true for me. It is a tremendous pleasure to get invited to the festival and take part of it with great artists who I have great respect to. I am very excited to share my music in Ostend, Belgium and have the chance to listen to all the amazing and inspiring clarinetists in the festival!